Thanks to The Bridge for premiering our new album!! In lieu of our weekend roundup, we are featuring an album premiere from Kansas City-based collective Of Tree. 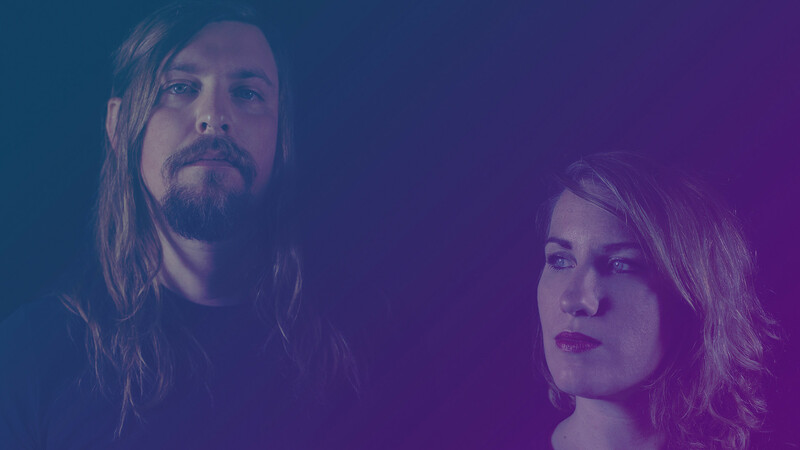 Of Tree began as a duo with husband and wife Benjamin Parks on guitar and Laurel Morgan Parks on violin, both sharing vocal duties. It then expanded its palette to include percussionist John Bersuch and, more recently, bassist Scott Freeman. When first forming the band, you both each wrote about half of the songs. Has your songwriting process become more collaborative since then? Laurel: It used to be that Ben wrote pretty much all of the Of Tree songs, and I would tweak things here and there. For this album, we wrote a lot of songs together because I unblocked myself from writing music and was ready to try out the role of songwriter instead of just a backup singer with a fiddle. The song “Fight It Off” was our first true collaboration of a song from start to finish. We ended up writing a good chunk of the album on a getaway songwriting trip up in the mountains of Colorado. Our best tunes come forth when we write them together. You mentioned in an interview that a lot of your music is based on world traditions you’ve studied like Celtic, Peruvian and Eastern European music. How have these influences opened your music up to different possibilities? Laurel: I am definitely inspired by the phrasings and modalities of non-Western music. For me, I want to write parts that are not completely predictable. When I listen to music from other cultures, I often find the music goes places that my ear isn’t used to. I try to do that when writing melodies to keep things interesting. I am also inspired by the use of electronics in music; I like to have these totally computerized pads/tones and noises played behind something as folky as the fiddle. Andrew Bird has really inspired me with his looper. I also have been a big fan of Carla Kihlstedt’s playing in the heavier band Sleepytime Gorilla Museum and then in Tin Hat Trio. Ben: I am inspired by heartfelt folk music, indie folk and honest singer-songwriter tunes, such as Bill Callahan, Patrick Watson, Ray Lamontagne, Agnes Obel and Low Roar. Your lineup has expanded from a duo to a quartet, and you’ll have other instrumentalists joining you at the release show tonight. How do all of these elements open up your musical possibilities? Laurel: Our biggest opening in musical possibilities has been the addition of bass player Scott Freeman, formerly of the St. Louis band Young Livers. He recently moved to Kansas City and instantly joined the band. Now our band feels like a complete family instead of just a married couple plus John on drums. With the bass player, our songs have more of a forward motion and urgency to them. John is also freed up to play more complicated parts since he is no longer drumming with one hand while playing the sub bass keyboard with the other. We will be playing our entire album at the show, so having the cello and lap steel will make the show sound more like the recording. Here is The Bridge’s premiere of “How Does It Feel,” from Of Tree. Of Tree releases the album tonight at recordBar, which also includes a joint release from Bob and Una Walkenhorst. The Walkenhorsts will join Of Tree during their set, along with cellist Sascha Groschang, lap steel player Michael Lemon and guitarist Corey Martin (who also recorded, mixed and mastered the album with Sean Lee). Tickets are available. —Michelle Bacon is 90.9 The Bridge’s Radio Content and Database Manager. She also plays bass and drums in bands. Follow her at @michelleobacon on Twitter or Instagram.